Valves are lanceolate to linear-lanceolate and nearly symmetric with respect to the apical axis. Apices are short and subrostrate. The axial area is narrow. The central area is rounded, moderately large, and somewhat asymmetric. The raphe is lateral. Proximal raphe ends are deflected toward the dorsal side. Terminal raphe ends are hooked toward the ventral side. Striae are radiate throughout. Areolae are very fine and difficult to resolve in LM. 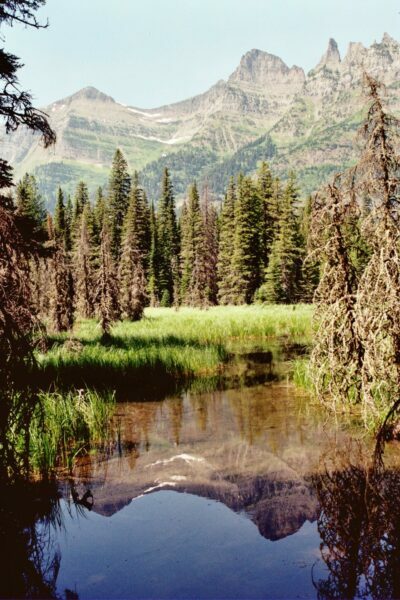 Encyonopsis falaisensis is common in small headwater lakes, ponds and springs in the northern Rocky Mountains, where it may be associated with E. cesatii. 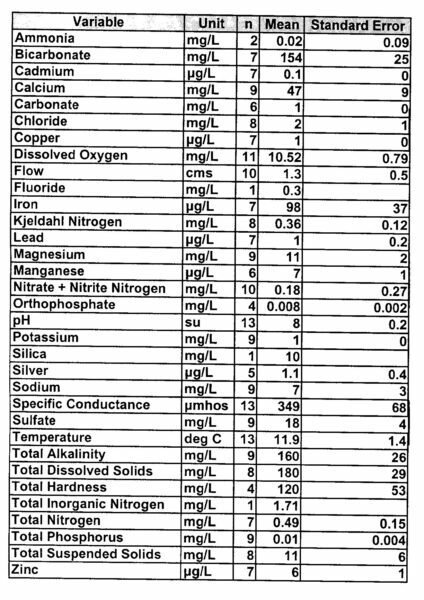 These waters tend to be cold, somewhat alakaline, and with low to moderate levels of dissolved solids. Krammer & Lange-Bertalot (1986) report this species as common in oligotrophic waters of northern Europe and in the mountains of middle Europe. Kootenai Pond, Glacier National Park, Montana: home of Encyonopsis falaisensis and Encyonopsis cesatii. Abundance-weighted means of selected water quality variables measured concurrently with the collection of samples containing Encyonopsis falaisensis. 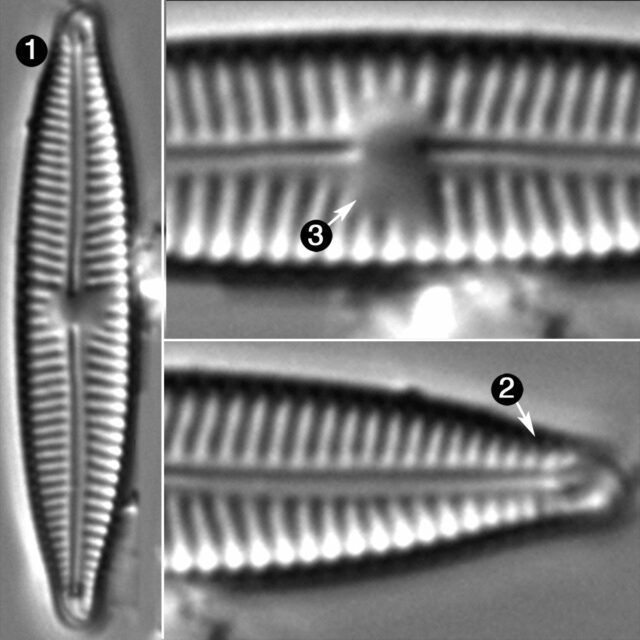 Encyonopsis falaisensis has linear-lanceolate valves with short subrostrate apices. The central area is moderately large.